Like all big milestones in life, my fortieth birthday really got me thinking and reflecting. 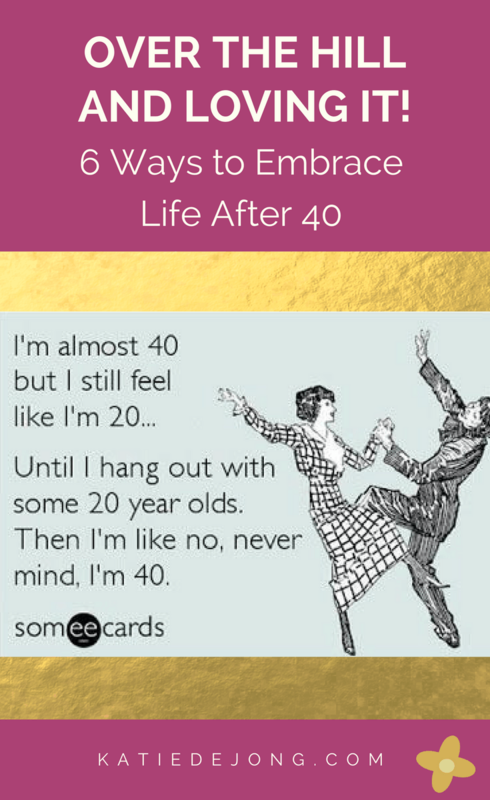 Unlike the months leading up to my thirtieth birthday that were filled with dread, resistance, and melancholy, I felt strangely at peace about turning forty and even a sense of excited optimism…. mingled with a small but definite dose of denial. I can still remember clearly when my Dad turned forty when I was a young girl and thinking “Wow, now my dad really is old now.” It was a scary thought that my Dad was now considered to be ‘mid-life’, with everybody telling him “It’s all downhill from here, buddy”. And then seemingly out of nowhere, it was my turn to turn forty. This one definitely snuck up on me from behind. It seems like only yesterday I was graduating from high school, feeling like the future was vast and limitless. We buried a time capsule on the school grounds in our final days of school that contained a letter to our future selves ten years down the track, saying what we hoped to do in the next ten years. Ten years seemed so long and far away back then. I had so many ideas about what I would be and have by then. And yet here I am, out of school for well more than twenty years, wondering how it all went so fast. Sure, lots has happened in that time. I’ve lived in eight different countries, had lots of adventures and weathered many turbulent storms. But still, it’s hard to fathom that I’m now considered to be mid-life, relegated to the ranks of “old farts”, the ones who have to scroll down for ages to find their birth year. And it goes way too fast. They’re standard old clichés, but it’s finally sunk in that they’re true. Seeing this clearly has made me re-think how I want to live my next forty years if I’m blessed to live that long or (hopefully) longer. Here are my suggestions for those of us entering the post-forty years. 1. Enjoy the journey, there is no destination. We will never ‘get there’, wherever ‘there’ is. 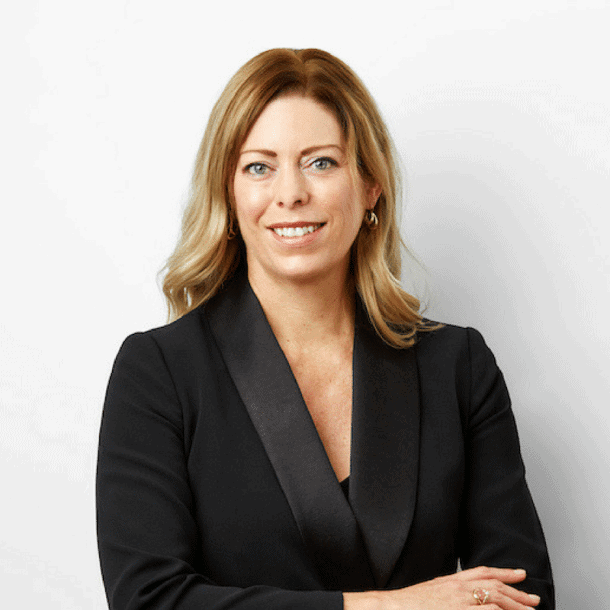 When I was younger I thought I’d have my life all nicely wrapped up by the time I’d be forty – the perfect career, perfect family, perfect home, perfect lifestyle. I hadn’t realized how much I still had to learn about myself and about life, and that the only way I’d get to know all this would be through riding the beautiful yet sometimes ugly and brutal roller coaster of life. I didn’t know that despite which destination I had in mind, life had a mind all if its own. And there were lessons I needed to learn, even when I didn’t particularly want to learn those lessons. I had no idea I would spend the first 35 years of my life trying to live up to the expectations of others, deaf to the whispers of my own heart. I didn’t know it would take a crisis to wake me up to my authentic desires and to have the courage to follow them. My point is, it doesn’t matter if we don’t get it ‘right’, whatever that is. The journey of life has an infinite number of paths it could follow and so many ‘sliding door’ moments. Each path we choose teaches us something about ourselves. And I think that’s the whole point, to get to know ourselves, to grow and develop, to appreciate every experience life has to offer, no matter how good or bad. The optimism I feel about my forties comes from the freedom of deciding to live life on my terms, in alignment with my heart, and nothing less. 2. Do what you love and do it often. Life is short as we know. You only get one shot at it. So why waste time doing things you don’t enjoy? 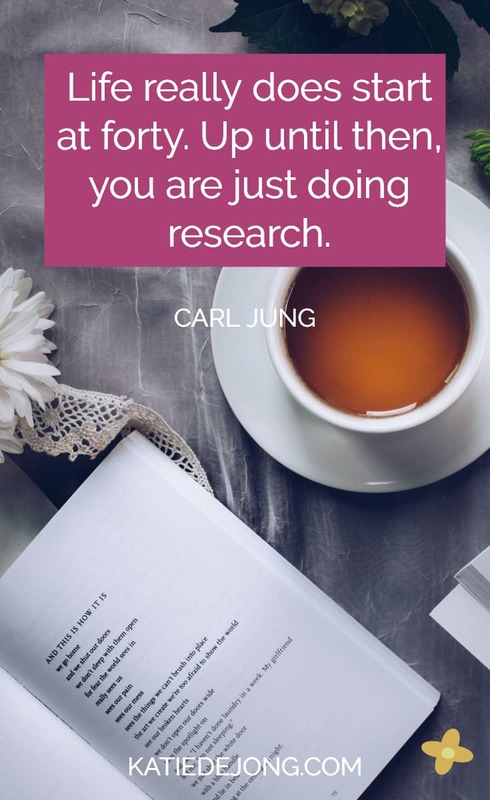 Why not find out what you love doing and do it often and if possible, all the time? We’ve all heard the saying “If you love what you do, you’ll never work another day in your life”. That seems to me the ultimate joy, turning your passion and joy into your day job. But it can also be just in the small things. Find out what makes your heart sing. Develop a relationship with your heart and hear what it’s trying to tell you. Maybe it wants to finally to go those dancing classes, or take walks on the beach at sunset, or move to the countryside. For me, a big one is travel and exploring the world. The more I can do of this, the happier my soul feels. Or maybe your heart wants to do something even bolder – give up that job, mo ve cities or start that business you’ve been dreaming of for years. Whatever it is, find your passion and make it come alive. My biggest fear is getting to 80 and wishing I’d done all those things I love while I still had the health and ability to do them. But it takes a lot of courage to follow our hearts, to take that leap of faith out of our comfort zone and into the unknown. We shouldn’t expect the path of the heart to be easy; it will by necessity shake things up in life. Any big change requires a period of upheaval, and that scares us. “Generally, people won’t pursue their callings until the fear of doing so is finally exceeded by the pain of not doing so, but it’s appalling how high a threshold people have for this quality of pain”. 3. Make more time for good friends. “It’s not how we feel about the person that matters but rather how we feel about ourselves when we’re with them.” – Unknown. Some people just make us feel good about ourselves. They inspire us and support us to be a better person. They mirror back all our positive qualities through their unconditional love and space of non-judgment. And they’re just fun to be with. If you’re blessed to have at least a few of those people in your life, spend more time with them. Plan the next catch up and make it a regular thing. After all, the true beauty of life is not in anything we can do or achieve but in enjoying the connections we have with others. Given the hectic nature of life, it’s easy to get caught up in the chaos, with our minds either on what needs to happen next or what happened in the past. It’s a challenge to be right there in the moment with the people around us. It’s the tragedy of our times to see more than half the people in a bar or restaurant on their smartphones, rather than talking to the person they’re with. This is something I’m consciously practicing more and more; to put away all distractions and to be fully ‘with’ the person I’m with. I know how much I appreciate it when someone actually gives me their undivided attention. We need to do less multi-tasking and be more present. 5. Feel genuine, heartfelt gratitude. One of our dear friends recently passed away very suddenly after running a half marathon. He was only 40 years old and very fit and very healthy. It was such a terrible and tragic shock for all of us; one that we’re still coming to terms with. He left behind his beautiful wife and two young daughters, who won’t have the joy of his presence as they grow older. This shock of losing someone dear to our hearts brought the finite nature of life even closer to home. It’s a privilege to grow old, one not afforded to everybody. Next time you cringe at your wrinkles in the mirror, bless them instead, for at least they mean you’ve lived long enough to earn them. And wrinkles around your eyes are a sign of how much you’ve laughed. Don’t get me wrong, I still find it hard to accept the first signs of aging in my body (was that really a grey hair? Are my hands really starting to look like my Granny’s? Is that really the start of a varicose vein on my leg?). But at the same time, it means I’m still here and growing older. Which means I’m able to be with my family and watch my boys grow older, and that right there is a blessing to be grateful for every day. 6. 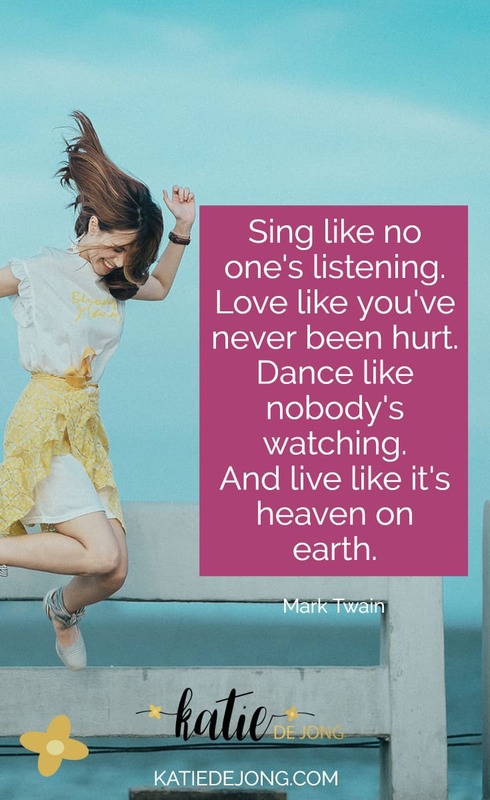 Laugh, sing and dance more. Laughing is a tonic for the soul. There’s nothing as good as laughing so hard that your tummy or cheeks hurt right? Or singing your lungs out when that favourite old song comes on the radio and you can turn it up full bore, feeling all the emotion and joy the song brings as memories come flooding back. 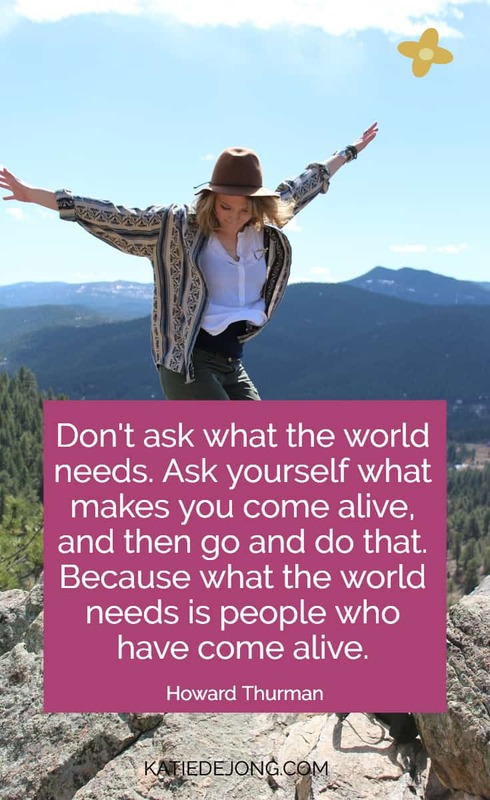 Or dancing freely and letting your hair down, feeling care-free and alive. These are all things I hope to do more of as I grow older, because I want to enjoy this wild and beautiful roller coaster ride as much as I can. 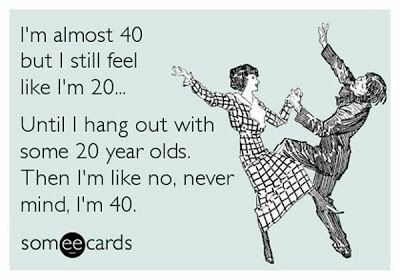 Bring on the forties, let’s try to embrace this ‘getting old’ business with open arms! 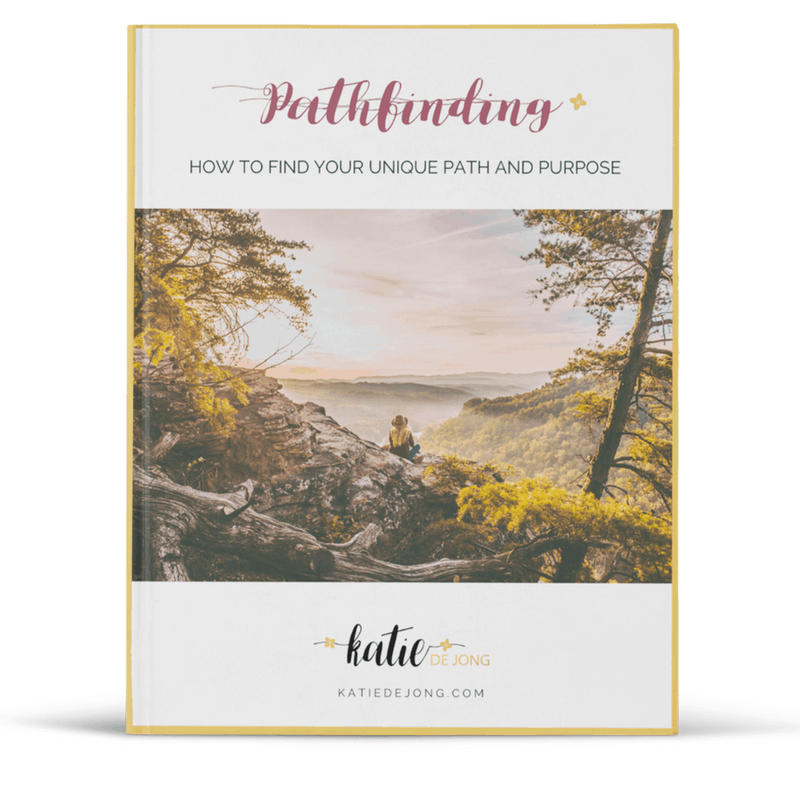 If you’d like more help in identifying that unique calling that’s yours to live, please download my free eBook PATHFINDING: HOW TO FIND YOUR UNIQUE PATH AND PURPOSE and learn all the tips and strategies you need to build a life you truly love.